We are now accepting applications for the 2019 Academic year which starts in October. So, I thought it would be useful to answer some of the questions that prospective applicants often ask. The main thing people want to know is “Will I be a suitable Acupuncture student“? If you have a keen interest in medicine and health and would like to work in a Caring profession, then that is a good start. We will then want to know why you are particularly interested in Traditional Chinese Medicine and Acupuncture? I have a friend who is a TCM practitioner and Acupuncturist and they got me interested. I have been unwell and Acupuncture treatment really helped me so I know it works. I’ve read about Chinese Medicine and I like its Holistic approach. 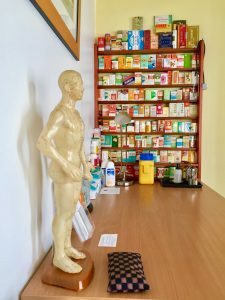 I work as a Health professional and would like to extend my range of Clinical options and heard good reports about Acupuncture and other TCM treatments. We accept students from Ireland the UK and all parts of the EU. We also accept people from other countries provided the student will not require a Student Visa to study on our course. Because all of our courses are part time and do NOT qualify for a student visa we are unable to accept any applicants from overseas countries where a Visa is required. If an applicant from such a country already has the right of abode and right to work or study in the EU we can accept their application. The answer to that is that we accept suitable people of any age, provided they are at least 21 years old when the course begins. 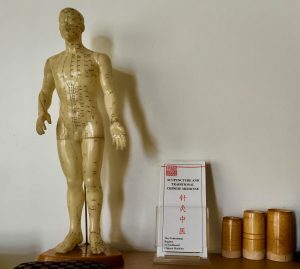 Our courses are designed for adults who are wishing to either change profession or, if they already work in Acupuncture and TCM to gain a post-graduate qualification. You do not need to have prior qualifications in either TCM or Western Medicine. You must be able to show us that you have the capacity (not just the desire) to undertake an intensive course of part-time study over a three year period. Prior study on intensive or demanding courses will be an advantage, because you will be prepared and know a little of what to expect, but this is not a requirement. You need to be intelligent, not afraid of hard work and willing to work in a small group with other adults who have the same hopes and expectations as yourself. The course sets high standards and we accept students who are prepared to put in the necessary commitment to be successful in the academic, practical and interpersonal aspects of the course. It helps to be mature and well motivated and being kind and helpful to others are qualities that will help you to be a better practitioner. 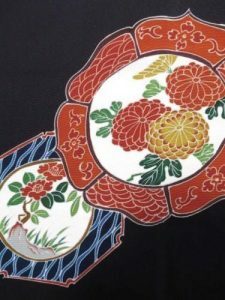 You will be training to be a professional practitioner of Acupuncture TCM so many different skills need to be developed. You can find out more about our Students and Graduates and the specific entry requirements via these links. Finally, don’t forget that your application is just the first step. We interview all suitable applicants (or people who seem to be suitable) and during the interview and tour of the college and teaching clinic you will have a chance to discuss your suitability with a member of the teaching team. Dr Deng Tietao was a great friend and supporter of the Irish College of TCM. He died, earlier this month, at the age of 104, although as explained in his Wikipedia entry, this would be calculated a little differently in China. In the West, he would have been said to be nearly 103 at the time of his death. We first met him in 2000 when he was already 85 years old. He came to teach us during one of the specialist Medical Qigong Courses that was being run exclusively for staff and graduates of the ICTCM. Professor Deng was a kind, refined and enlightened man who understood the importance of being healthy on all levels – body, mind and spirit. He was a much published author of books on many aspects of Traditional Chinese Medicine and his seminal book on Chinese Medical Diagnostics has been published in English. 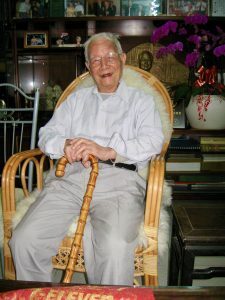 When only in his 50s, his students published a book (in Chinese) as a sign of respect for his excellence as a medical practitioner and teacher, which outlined his regimen for a healthy life and longevity. This included his daily practice of one of the most famous traditional Qigong forms, called Baduanjin. During the subsequent years we met him a number of times when he gave guest lectures to groups from our college and met the Director of the College Tom Shanahan to discuss the most important attributes of a Traditional Chinese Medical Practitioner. Both agreed that it was kindness to one’s patients. The last time we met was in 2011 after he had been awarded the very highest award by the Chinese Government in 2009. He was named a “Master of National Medicine” of China, received a Lifetime Achievement Award from the China Society for Chinese Medicine and Pharmacology, and won the Guangdong Science and Technology Award (First Class). 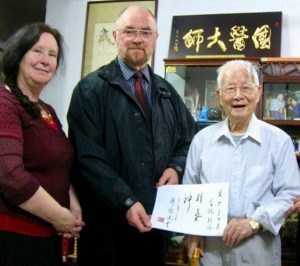 During our last meeting in 2011 he brushed a unique calligraphy for the Irish College of Traditional Chinese Medicine showing that he gave his great support to our efforts to spread high-quality, authentic Acupuncture and TCM across Europe and the world. Further information can be found in our 2011 ICTCM news item. News of his death was announced by the Guangzhou Daily on 10th January 2019. Their article gives an interesting extract from an interview with Dr Deng, who will be much missed by his friends, family and students. Happy New Year to all our Students, Staff, Colleagues and Friends, from the Directors of the Irish College of Traditional Chinese Medicine. We hope that you had a peaceful festive season and wish you a happy, healthy and prosperous 2019. 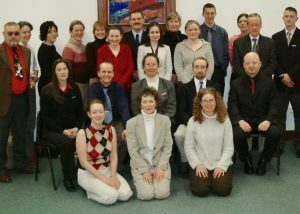 The Irish College of TCM in Dublin is pleased to welcome a new group of students to our Acupuncture Training programme. The new intake started their studies with us on 13th October. No further applications can be accepted for this academic year. If you are interested in changing career and wish to train to work as a self-employed practitioner of Acupuncture and Traditional Chinese Medicine, the information provided on our section on Acupuncture Training gives details of the course content and application procedures. The next intake of students will be in October 2019. 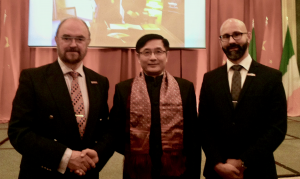 The Director of the Irish College of Traditional Chinese Medicine, Tom Shanahan, and one of the college’s Clinical Supervisors Michal Niedzialkowski were pleased to attend an event hosted by the Chinese Embassy in Ireland, on 25th September 2018. The ICTCM has enjoyed many years of support and encouragement from the Chinese Embassy during its more than 35 years providing high quality training in Chinese Medicine in Ireland. The photograph shows Tom Shanahan shaking hands with His Excellency Ambassador Dr Yue Xiaoyong. Do you want to become an Acupuncturist? The next Acupuncture Course, which is three years long, runs on a part time basis. This year’s course begins on the weekend of 13 and 14 October. There is still time to apply for this high quality training to become an Acupuncturist. Classes are held in our college in Dublin, near the 3Arena. Transport links are good as there is easy access to the Port tunnel, Dublin Airport and motorway system. Thus, people from all parts of Ireland and the EU are able to reach the ICTCM relatively easily. Students attend Acupuncture classes for approximately one weekend every 3 to 4 weeks and have homework to complete between the classes. 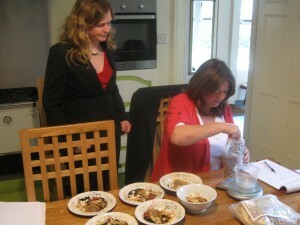 You can see the Course schedule on the Acupuncture Training section of this website. Being an Acupuncturist (also called “a practitioner of TCM, specialising in Acupuncture”) is a rewarding and satisfying career. You can contribute to the health and wellbeing of patients of all ages, and with a wide variety of different medical conditions. If you would like to find out more, go directly to the Prospectus pack. It includes an application form and fee schedule, and the full syllabus is also available. Qigong for Health weekend workshops, are run by the ICTCM (Irish College of Traditional Chinese Medicine) 2 or 3 times each year. No further weekends will be held in 2018. The ICTCM are leaders in the field of Qigong for Health and in the field of Medical Qigong. Our staff trained with Qigong Masters in China for many years. The Qigong Booking Form is available here. This is for reference only. Once a further weekend has been organised the new booking form will be available here. *Earlybird discount is sometimes available. This is a two day introduction to Qigong for Health and Wellbeing, held in our centrally-located College in Dublin 3. 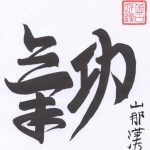 Students are taught a set of simple movements, breathing exercises and relaxation/meditation techniques which they can practise on their own at home and you are encouraged to develop a regular daily routine of Qigong practice. The pace of the classes is easy and the atmosphere is relaxed. advised by their Acupuncturist to take up some Qigong practice to enhance or support the effect of TCM treatment. You do not need any prior knowledge of Qigong, Chinese Medicine, Fitness Exercise, Martial Arts or meditation. Everyone can gain benefit from Qigong practice and can progress to a stage that is suitable for them. The weekend is suitable for adults and no interview is needed. To find out more about the health benefits of regular Qigong practice go to the Qigong page of our new website. Book now as these Qigong for Health weekends tend to fill up quickly. The ICTCM was one of the first independent colleges in Ireland to get a website. So many years ago! Now we are in the process, yet again, of updating the look of our site to make it more user-friendly for those using mobile devices. We want it to be easy for you to find out about the courses we offer.